How Far is Abhyudaya Prasanthi Green County? 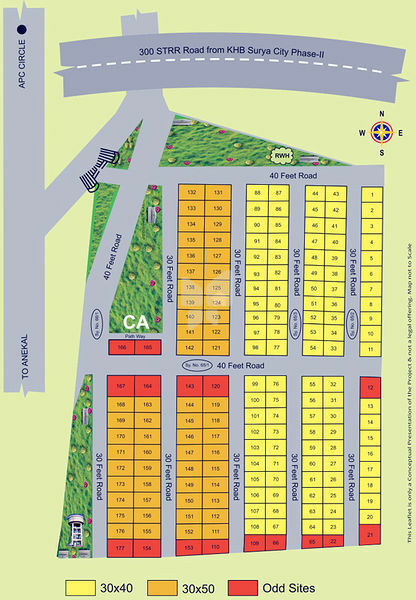 Prasanthi Green County is a premium housing project launched by Abhyudaya Projects in Anekal City, Bangalore. Among the many luxurious amenities that the project hosts are Complete lay-out is surrounded by compound wall along with 24/7 security, Beautiful landscaped gardens with water bodies, Children's play area, Sewerage Treatment Plant, 40 ft/ 30 ft Black Top roads etc.